Enjoy 3 magical nights on Moorea: the "Magical Island", 3 nights on Bora Bora: the "Romantic Island" and then 4 nights on Huahine: “Garden of Eden”. Because of its stunning scenery and heart-shaped formation, it's no wonder so many people fall in love with Moorea! Bora Bora, where perfect white-sand beaches give way to emerald waters and colored fish animate the coral gardens as they greet the giant manta rays. 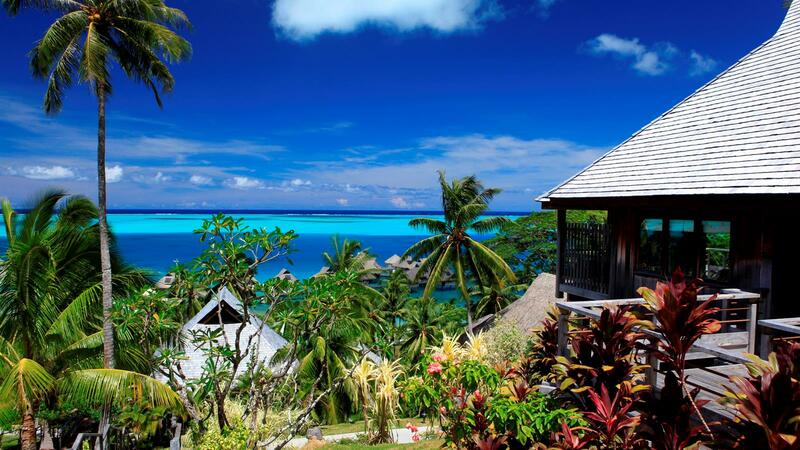 Huahine, with its lush forests, untamed landscape, and quaint villages, is one of Polynesia's best-kept secrets! Choose from 2 resort combinations with Full Breakfast daily.